Anyone with any sense will agree that it is simply ridiculous to ship compostable materials off of an island. On our way to a comprehensive composting program, we are starting out with our Clean Green collection. For a drastically reduced price, you can bring your totally green and noxious weed free material to us. A local contractor will then grind it up and compost it for use here on Orcas Island! To participate you must fill out and sign our Program Agreement form, which you can download from this page: Green Waste Agreement …and P.S. We are not accepting small amounts or kitchen refuse yet–just larger loads of yard/forest waste. 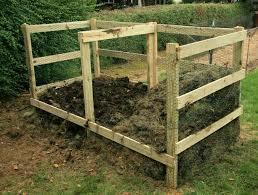 For that stuff get started on your own composting at home! Start here.